Advancements in DNA testing is continuing to have a big impact on society as evidenced by the recent capture of the Golden State Killer. While the infamous serial killer was finally brought to justice via DNA testing, some are voicing concern about the method in which he was tracked down. Could DNA Testing Be Problematic? DNA testing services have gained popularity recently as people are attempting to trace their genetic history and/or find long-lost relatives. However, it’s gotten so advanced police detectives can now mine DNA data in order to assist in criminal cases. Joseph James DeAngelo, who is 72 years old, was recently arrested as a suspect in the Golden State Killer case. The Golden State Killer has been linked with over 50 rapes and 12 murders over the course of a decade, from 1976 to 1986. But the case went cold decades ago. DeAngelo was found after detectives used a public genealogy database and everyone applauds his capture after decades of crime; his arrest allows victims’ family members closure. However, concerns have been raised concerning privacy and ethics. The DNA of the Golden State Killer was found from a sample left at one of the crime scenes. 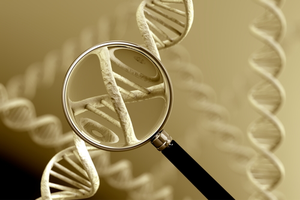 Police were able to find a match by using GEDmatch, a popular genealogy website. The way GEDmatch works: Customers can upload their DNA profiles to find a match, and customers have to certify the DNA they are submitting is their own. The matches found in the Golden State Killer case were relatives of the suspect, but the manner in which DeAngelo was finally tracked down is still under debate. DNA testing can be very effective at helping police solve crimes, but some people have ethical concerns about the methodology. To keep up with all the latest health-related news or to find out more about DNA testing, visit The Benefits Store.